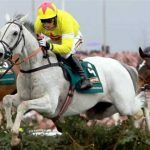 2018 Grand National – Is Horse racing the toughest equine sport? 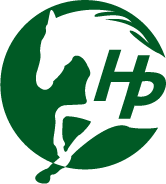 The Grand National is upon us following the incredible four days at Prestbury Park. It dates back to 1839 and has continued to grow in statue. 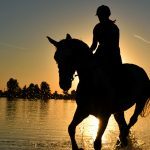 It is renowned as the ultimate test of horse and rider which is why the event is now believed to be viewed by around 500 to 600 million people in over 140 different countries. The weights have been revealed and Definitely Red has been handed top weight off 11 stone 10lb for the race. He recently ran in the Gold Cup where he finished a distance 6th but the Grand National seems more accustomed to the horse’s style of running as he is all about staying and has not always performed to his best at Cheltenham. The latest Grand National betting has him at 20/1 behind market leaders Total Recall and Blaklion. Total Recall is another horse to have finished tailed off in the Cheltenham Gold Cup but previous to this he had been highly progressive in winning his first three starts for Willie Mullins. He looked a stayer to follow so if able to progress again he could be a key contender come the Aintree showcase in April. Blaklion on the other hand had been a long standing favourite for the race following on from his highly encouraging performance in the 2017 edition of the race. The 9 year old finished in fourth having travelled like the winner and kicking clear off the bend only to be caught before two out having possibly been committed to early. He then returned to the course to contest the Becher Chase where he put in a stunning performance to win going away by 9 lengths from a previous Grand National runner up in The Last Samuri. This was another eye catching performance from Blaklion who looks well accustomed to the course with his key asset being his accurate jumping. 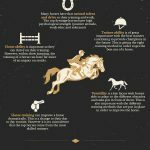 Check out the infographic below which looks at the toughest Equine sports that includes not only horse racing but show jumping and dressage comparing the difficulty for the horse and their training.